April where did you go? You sped past me so very, very quickly! And with April gone, so is the first FOUR months of 2014. That's 1/3 of the year already passed by. I'm just going to let that sink in. I read 5 books this month for LGBTApril and I absolutely loved every minute of it. It was a great event and I'm so glad that I took part in it. Towards the end of the month though I had to focus a little bit more on some review books and I didn't quite get to as many books as I would have liked. Even so, I had a great reading month in April! I also finished two of the series I had on the go: the Divergent series by Veronica Roth and the Dustlands trilogy by Moira Young! 15 books in total? Not bad. A lot of the books (6) reviewed this month were read for #LGBTApril which was an event I took part in during April. I was really excited to take part in this and read some fantastic books for it. I also loved reading and reviewing four really fantastic UKYA this month. That's important to me. I've always been somebody that encourages other book bloggers to do non-review posts so here is a round-up of MY non-review posts in April. The first half of the list are bookish related and the two below that are not. I hope to continue to write more non-review posts always. I think it's pretty amazing that I've written 20 reviews and other blog posts for my blog but also filmed, edited and uploaded 10 booktube videos on both of my channels. Please do support my booktube adventures by subscribing to both my own booktube channel, cloveryness, and my collab channel, BookishBrits. Thanks, guys! 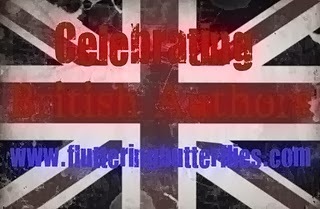 If you are an author of UKYA and are published in 2014 and would like to write a guest post or take part in one of my features, please do let me know! I'd love to have you. 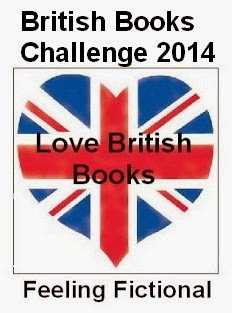 I'm really pleased to have read 26 books already in the first four months of 2014. Do you think I can make it to 100 by the end of the year? I really do love reading UKYA. It is my favourite and I really stumbled across some great books in April! Yikes! Only two of my own books read in all of April. My yearly total is still under 10! Which is what I've originally challenged myself to read in a month. Tell me again why I'm bothering with this :( Hopefully in May, with my #NewToMeMay challenge I can whip through lots more of my own books. Hopefully. What was your favourite book that you read in April? Yes, it was a pretty busy month, Sally! I have my own crazy pile of books to speed through myself. Have you thought about joining me in #NewToMeMay ? Could be fun to target the books by authors on your pile that you've never read before? Wow that is quite a month, Clover. I read all of 2 books, my worst total in a very long time. I just couldn't settle down to read. I was doing so well before too! 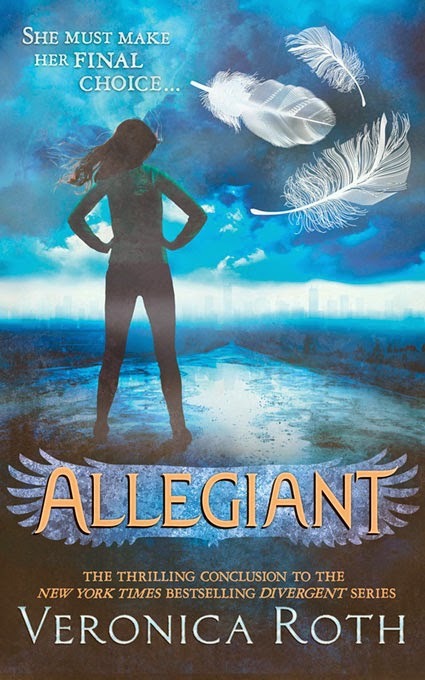 Is Allegiant out there in softcover yet? I've been waiting for it and Insurgent to come out in paperback, but so far no luck. I really enjoyed Insurgent so am anxious to see how the series goes. I'm happy to see the final books was your book of the month! Ooh, I hope you get your reading mojo back soon! And no, I don't believe it is in softcover as yet (though Insurgent is!) I bought it on my Kindle though and will have to buy them at some point as physical books :) I hope you love it as much as I did when you get around to it! I'm so glad to find someone else who loved Allegiant - it seems like so many people hated it! I was definitely a fan! Really? I've been so good at avoiding everything about the book that I haven't even been aware!